A new study followed nearly 200 women for 44 years. Those who exercised more had a lower risk of dementia, backing up other research on this topic. In a study reported early this month in the journal Neurology, researchers found that women with higher cardiovascular fitness at midlife were less likely to develop dementia later in life. The research team followed 191 women over the course of 44 years, from 1968 to 2012. Among women who had the lowest cardiovascular fitness at midlife, 32 percent developed dementia by the end of the study. In comparison, 25 percent of women with medium cardiovascular fitness at midlife developed dementia. 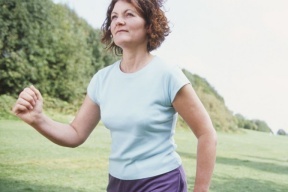 Only 5 percent of women with high cardiovascular fitness at midlife developed dementia. 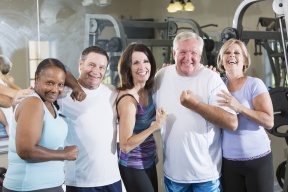 This study contributes to a growing body of research that shows associations between physical fitness, heart health, and cognitive function. When the study began in 1968, researchers asked participating women between the ages of 38 and 60 to complete a cardiovascular fitness test. Over the next four decades, psychiatric professionals examined participants for signs and symptoms of dementia. According to the results of participants’ examinations and hospital records, 44 of them developed dementia by the end of the study. Women with high cardiovascular fitness at midlife were 88 percent less likely to develop dementia than women with medium cardiovascular fitness.